Help & DocumentationGetting StartedJump Start Guide for Regular Users Working with Favorites and DigestsWhy are some of my Favorites folder elements not included in the Favorites Digest ? Why are some of my Favorites folder elements not included in the Favorites Digest ? There are four different sets of rules that control what is displayed in your Favorites Folder Digest. You can verify these setting using the steps below. 4. 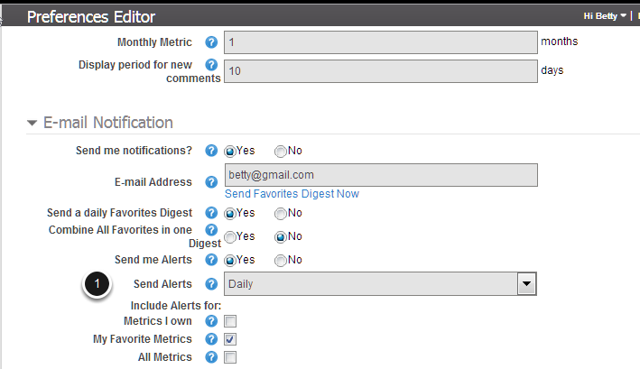 If an Element is included in either your Alerts or Annotation digests, it is not duplicated in your Daily Favorites Digest.